Waterford Security is a security integrator. We install, maintain, manage and repair electronic security systems, including access control, closed circuit television systems (CCTV) and alarms. 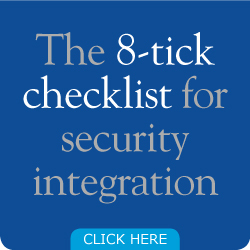 We are an approved partner of several security product manufacturers such as Gallagher Security, HID and Interlogix, and can integrate different products and brands to create the solution that best fits your needs. We make sure we’re up to date with the latest product releases and are always on the lookout for innovative but proven products. Our team members attend a variety of local and international security conventions and conferences and are fully trained and qualified in our partner systems. We work in every type of premises you can imagine: places such as commercial high rise buildings, airports, stadiums, movie studios, schools, hospitals, retail stores, warehouses, factories, apartment buildings and private homes. We operate nationwide with offices in Wellington and Auckland. We have staff on call 24 hours a day.